Michael Richan lives in Seattle, Washington. He has written horror fiction for thirty-five years. He's the author of several best selling series, including "The River," 'The Downwinders," and "The Dark River." All are set within The River universe. He's also the author of other best selling titles such as "The Haunting of Pitmon House" and his latest, "Slaughter, Idaho." Visit michaelrichan.com to learn more about the series and to see a suggested reading order. Follow Michael via email and receive the free novella "Residual". You can also follow him via Twitter @michaelrichan. To ask Michael Richan questions, please sign up. Michael Richan The idea for my most recent book ("A Haunting in Wisconsin") was sparked by a letter I received from a fan. There are a couple of books that have…moreThe idea for my most recent book ("A Haunting in Wisconsin") was sparked by a letter I received from a fan. There are a couple of books that have started this way, so feel free to write me! This particular letter was from someone who runs a B&B in the Midwest, and it started me toward an homage to my 2nd novel, "A Haunting in Oregon," which is also set at an inn -- in that case, a hotel. There are several scenes in the new book which emulate scenes from "Oregon" for that reason. A long wait, but the new novel has finally arrived! It took a long time to write this one; it’s been nine months since Descent Into Hell Street. 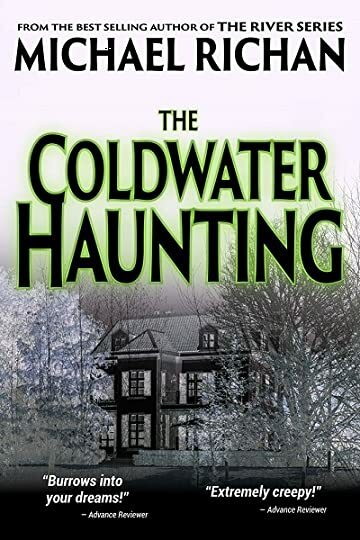 I’m very proud of The Coldwater Haunting, and hope you will enjoy it. It’s my longest novel at over 100,000 words. It was also one of the most enjoyable to write.
" Thank you Nancy! I hope you enjoy it! 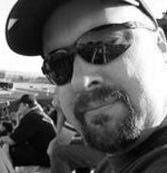 :) "
Michael Richan made a comment on First Chapter of The Blackham Mansion Haunting!
" I do the same thing, Nancy...it always bothers me to "delete" it from the Kindle when I'm done. Doesn't feel right! :) "
"A" is stand-alone, not alphabetical. I hope you get it today and enjoy it! Michael Richan made a comment on The Bank of the River #1 Best Seller in Ghost Fiction! Thanks for the great review, Eileen! I'm really glad you enjoyed the book - I know it's not your normal cup of tea, so I feel honored that you picked it up! Thanks again, I..."
Thanks for the great review, Eileen! I'm really glad you enjoyed the book - I know it's not your normal cup of tea, so I feel honored that you picked it up! Thanks again, I..." ...more "
We’d love your help. Let us know what’s wrong with this preview of Song of Spider-Man by Glen Berger.